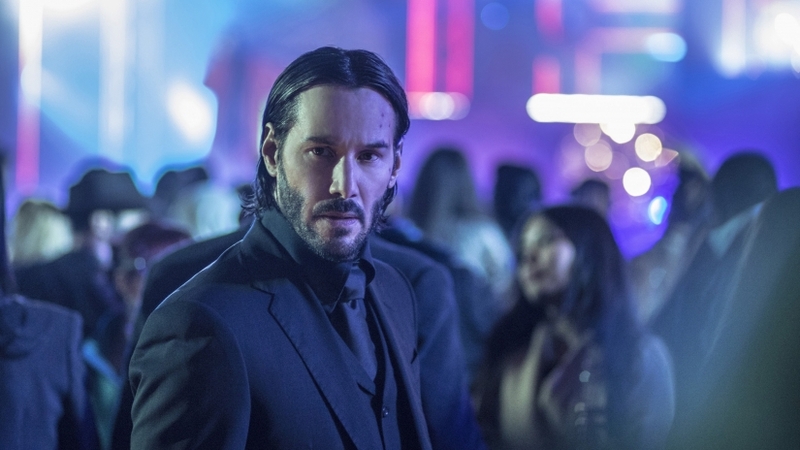 All of this is fairly standard, but what sets John Wick: Chapter 2 apart from its own predecessor, let alone the standard action film, is how willing it is to follow John into what becomes something approaching a maximal amount of aestheticized violence. For whatever reason, returning director Chad Stahelski decides to considerably ramp up the explicitness of the action scenes from the first installment, and this has the effect of making the deaths seem more and less impactful. 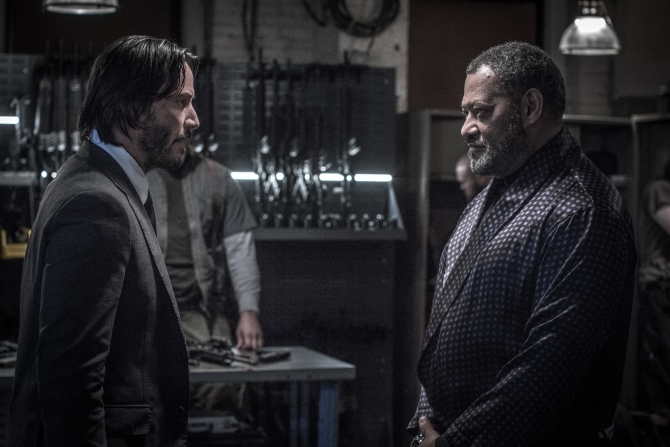 There might not be the tightness of John Wick, with its sequestered four setpieces, but the continual action allows the latter two acts to continually set John in situations of imminent danger. There is of course no doubt that he will survive, but much of the pleasure is in seeing his varying methods, ranging from knives to a Benelli M4 shotgun (resulting in some truly awe-inspiring carnage) to a silenced pistol (with which he has a laughably amazing shootout with an assassin played by Common in a public space) to yes, a pencil. And equally entertaining is seeing the innovations in narrative and setting; the Continental hotel (exclusively for assassins) is shown to have a sister location in Rome, there is a secret physical registry of assassins complete with women operating switchboards, and John has a run in with an underground network of assassins masquerading as homeless people, led by The Bowery King (Laurence Fishburne). All of these do a great deal to hint at even more, to celebrate the maximalism allowed by a sequel without sacrificing what makes the first film great. For at the end of the day, illustrated most clearly by the incredible climax set in a hall of mirrors art installation, John Wick: Chapter 2 is about its action, gloriously shot in crisp neon and anchored by an unwaveringly solid physical actor, and as a result it soars. And the dog lives.